With five days left before the world’s biggest 42-K race—the New York City Marathon—one of the 40,000-plus runners is still here in Cebu, busy at work. Dr. Potenciano Sto. Domingo Larrazabal III, or “Yong,” has to fulfill his promised appointments with patients and his full load of surgeries. The NYC Marathon isn’t Dr. Yong Larrazabal’s first marathon. Unlike another physician, Peter Mancao, who left for “The Big Apple” yesterday and will be running his first 42.195-K race, this is Yong’s third run. “I’ll be more relaxed this time, I think,” he said. 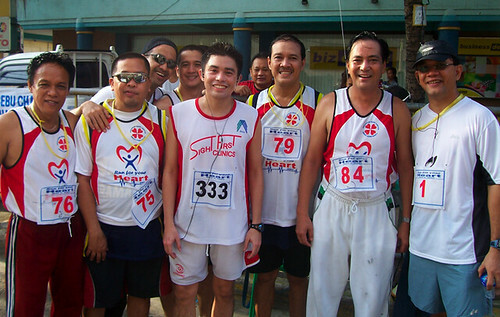 Last February, Dr. Yong ran his first marathon, the Pasig 42-K. The sun sizzled that morning and Yong suffered cramps in the last five kms. Still, he trudged on and finished in 4 hours, 53 minutes. 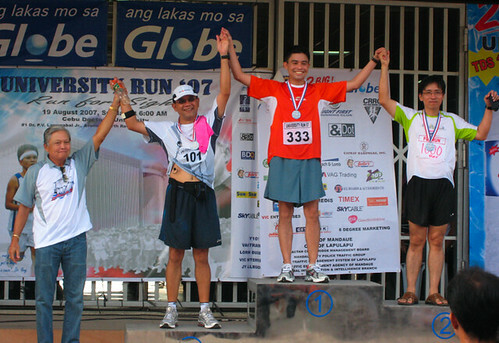 Then in July 22 during the Milo Marathon, he ran straight without cramps and finished in 4:23. Dr. Larrazabal is right. When I checked the NYC forecast for Sunday, it’s around 13 degrees Celsius. Wow. That’s cold. Good thing the two Cebuano doctors are running fully-equipped. 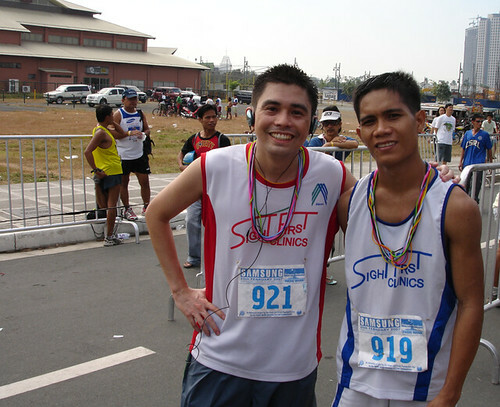 Dr. Peter Mancao’s brother happens to work for the running shoe and apparel company, Asics—one of the NYC sponsors. Another company that has sponsored the two is Bolle, makers of the world’s top sports eyewear. “Bolle, thru Chris Tio, has sponsored me a pair of very light running sunglasses,” said Yong. 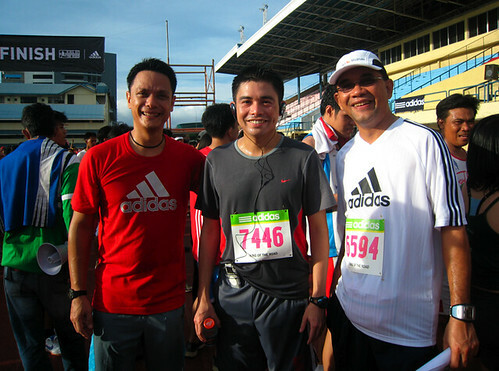 A man in a hurry sprinting the long-distance marathon: that’s Dr. Yong Larrazabal.